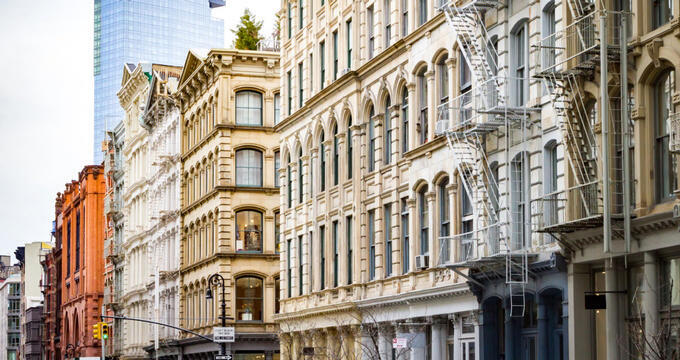 Visitors to New York City can walk down the cobblestone streets of SoHo to discover some of the great bars and restaurants in the city, as well as many other things to do in the downtown neighborhood. SoHo is well known as a shopping destination full of buzzworthy pop-up stores and high-end boutique shops, along with numerous street vendors. Bell’s Coffee and Design is a combination of a small retail shop selling small gifts and living accessories and a specialty coffee shop. The coffee shop opened in SoHo in November of 2016 in a space with plenty of natural light through floor-to-ceiling windows. The of Bell’s Coffee is to provide customers with the best pastries and coffee drinks of New York City, every day, using the highest quality of ingredients available. Coffee beans are purchased from a local roaster and milk is sourced from a family-owned, local creamery in the Hudson Valley, going from cow to bottle within eight hours. Black Tap NYC is a new twist on the typical burger joint. 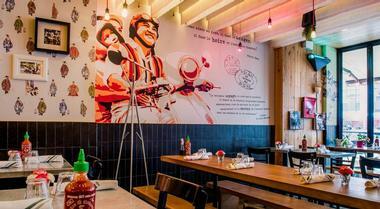 Inspired by old-school luncheonettes, the eatery started out as a sixteen-seat burger restaurant located in the SoHo neighborhood. Black Tap is now a worldwide brand, spinning milkshakes and flipping burgers across the United States and Asia. The burger joint is all about the nostalgia of enjoying a shake and a burger as a child. 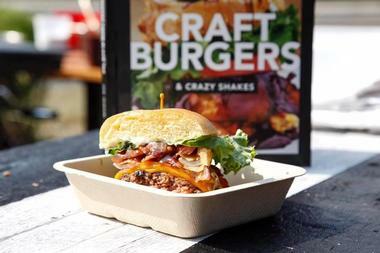 Black Tap NYC serves some of the best burgers in the city, over-the-top milkshakes, and a selection of various craft beers, all in a setting that transports customers back to the days of old-school pop and hip-hop. The BoCaphe is a cozy cafe that features somewhat quirky decor and serves French-influenced, healthy Vietnamese dishes, along with wine and cocktails. It can be easy for guests of the restaurant to forget at times that they are in New York City. The cafe is clean, decorated with neon lights, old newspapers, wooden tables, and plants, with a great attention to detail. Customers are welcomed with a pitcher of basil-infused water at the their table, complementing the overall look and color of the cafe. BoCaphe does a good job of making healthy food appetizing, providing colorful and flavorful dishes. The Broadway theater district of New York City has attracted theater enthusiasts from throughout the world to the city for generations, providing a wide variety of classic modern dramas and captivating hit musicals to visitors. The dazzling lights of Broadway today still continues to draw in millions of people every year who come from all over to experience a Broadway show during their visit to New York City. Buzzworthy blockbuster shows play side-by-side with smaller downtown transfers, technologically advanced, cutting-edge productions run next to 1930’s revivals, and veteran celebrities and stars take the stage alongside aspiring, young actors. 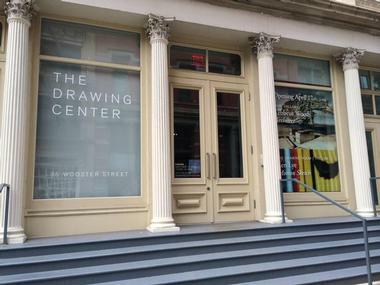 The Children's Museum of the Arts in the SoHo neighborhood is a non-profit arts facility aiming to show the transformative power of the arts to every child and their family. The professional artist staff guides and mentors young artists between the ages of ten months and fifteen year through an array of fun and advanced projects in the arts within professionally equipped studios using a variety of different mediums and techniques, such as sculpting, painting, drawing, printing, photography, sewing, weaving, film-making, and animation. Visitors can also explore a collection of more than 2,000 pieces of artwork created by children. The Dominique Ansel Bakery is a bakery and cafe headed by Dominique Ansel, a celebrated pastry chef known for making beautiful and creative French treats. The Dominique Ansel Bakery first opened its doors in the SoHo neighborhood of New York City in November of 2011. The SoHo bakery where Dominique Ansel first came up with several of his signature desserts, such as the Cronut, Blossoming Hot Chocolate, Frozen S’mores, Cookie Shot, and the DKA, or Dominique’s Kouign Amann. The Dominique Ansel Bakery is open Monday through Saturday 8:00am until 7:00pm and Sunday 9:00am until 7:00pm. Dos Caminos is a Mexican restaurant in the SoHo neighborhood offering more than one hundred kinds of tequila, as well as fresh guacamole, delicious margaritas, asada tacos, and authentic quesadillas made in the style of Mexico City. At Dos Caminos, Mexican staples are made with a modern twist and high style. Seasonal drinks include a frozen prickly-pear-cactus margarita during the summer months, great to sip on while people watching from one of the restaurant’s outdoor tables. Dos Caminos is open for brunch, lunch, and dinner, along with a Happy Hour available Monday through Friday in the lounge and bar. 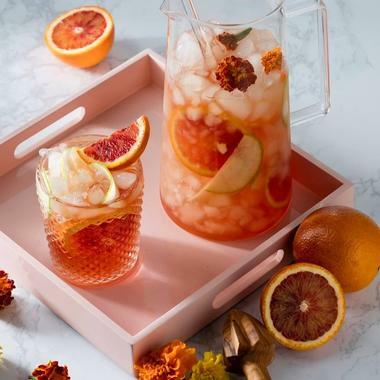 Harney and Sons Fine Teas is a family-owned and operated tea company with three generations working to preserve a tradition of fine tea, as well as traveling worldwide to find the best ingredients. Harney and Sons Fine Teas sources, blends, and then packages their fine teas from beginning to end, growing the family business from its original six teas to offering over three hundred different kinds of tea today. The SoHo Shop features a lounge and tasting bar offering 250 different tea varieties for visitors to sample. Guests can try exotic blends and browse many specialty tea products. The Housing Works Bookstore Cafe is an established downtown institution of New York City for over a decade, as well as a tourist destination in SoHo. Whenever the bookstore is open, the cafe will be serving fresh food, such as soups, salads, sandwiches, donuts, and both savory and sweet pastries, along with drinks, such as wine, beer, cocktails, coffee, and tea. All of this is served by friendly volunteers. The Housing Works Bookstore Cafe is open Monday through Thursday from 10:00am until 9:00pm and Friday through Sunday from 10:00am until 6:00pm. IF was started by three siblings (Soha Farah, Johnny Farah, and Jeannette Bird) in 1978 and is most likely one of the oldest clothing stores still in operation in New York City’s SoHo neighborhood. IF is known for being the first shop in New York city to sell collections by many designers, including Ivan Grundahl, Comme Des Garcons, Dries Van Noten, Martin Margiela, and Yohji Yamamoto, all of which are still sold at IF today. IF is open Monday through Saturday from 11:00am until 7:00pm and on Sundays from noon until 6:30pm. Joanne Hendricks Cookbooks is a considered a rare find, located on the far west side of Manhattan in the neighborhood of SoHo. The tiny downtown shop is full of out-of-print and vintage cookbooks, collectable tableware, old photographs, unique menus, and class cocktail books. Joanne Hendricks first opened her little shop in 1995 in a brick-faced townhouse built during the 1850’s. Opening the store was the easy part for Joanne, parting with the books she has collected is the difficult part. 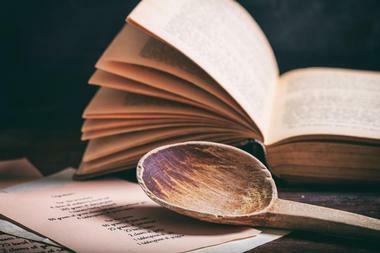 The Joanne Hendricks Cookbooks shop gets business from knowledgeable dealers and professional chefs, such as Alain Ducasse and April Bloomfield. 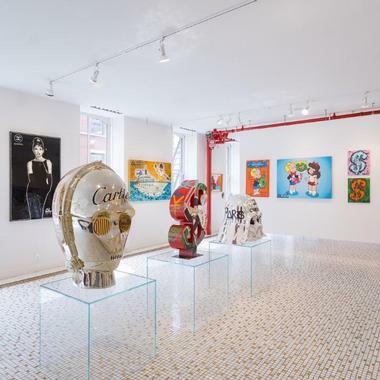 The Kate Werble Gallery in the fashion and art-filled neighborhood of SoHo in downtown Manhattan of New York City has certainly made a name for itself in the city’s art gallery world. 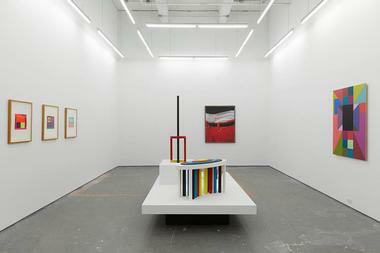 Over several year, Kate Werble, owner of the art gallery, has carved out a specific niche for herself by producing humorous, subversive, and innovative art exhibitions showcase a wide variety of different artists, ranging from sculptures to paintings to photography to large-scale installations. The normal gallery hours for the Kate Werble Gallery are Tuesday to Saturday from 11:00am until 6:00pm. The King Restaurant in SoHo, located on the corner of Sixth Avenue and King Street, is a small bistro offering a menu that changes daily and is heavily influenced by the flavors and cuisine of northern Italy and southern France. The eatery specializes in simple, seasonal dishes featuring influences from these two regions, providing a taste of the Mediterranean style of bistro cooking to the people and visitors of New York City. Menu items includes dishes like Provençal fish stew with lobster and Long Island clams, roast guinea hen with ricotta and lemon, and simple grilled hanger steak with rosemary. 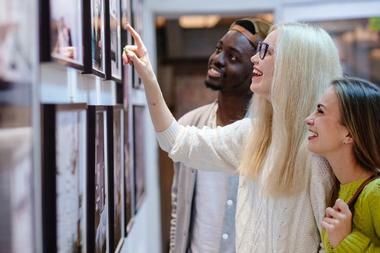 The Leslie-Lohman Museum is the world’s only art museum dedication to the exhibition and preservation of works of art that speak about the LGBTQ experience. The roots of the museum date back to the year 1969 when Fritz Lohman and Charles Leslie hosted an art exhibition of gay artists in their loft in the SoHo neighborhood. There is no admission fee to visit the Leslie-Lohman Museum, however, a small donation is suggested. The unique art museum is open Wednesdays, Fridays, Saturdays, and Sundays from noon until 6:00pm and on Thursdays from noon until 8:00pm. The art team of LIZ-N-VAL boasts that that their museum is the only place in the world for Advanced Art. 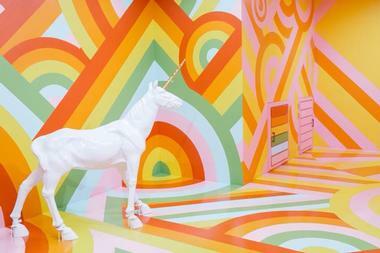 This one-of-a-kind art museum is known by several other names as well, including the MuseuM of Advanced Art, MuseuM of Everything, MuseuM of Anything, MuseuM of Something-N-Nothing, MuseuM of Truth-N-Beauty, and the MuseuM of Abstractrealism. The pair are famous for their unique ways of public art Inter-Actions and art distribution, and are known for inventing the concept of Abstractrealism. The art museum is open only by appointment. LIZ-N-VAL have displayed their artwork internationally and have worked together for more than twenty years. The MoMA Design Store is part of The Museum of Modern Art, which established the first curatorial department focused on design and architecture in the world back in 1932. Products are assessed against the museum’s design filters, which are eight criteria used to make sure each product fits with their vision of good design, and then evaluated by the curatorial department of MoMA. 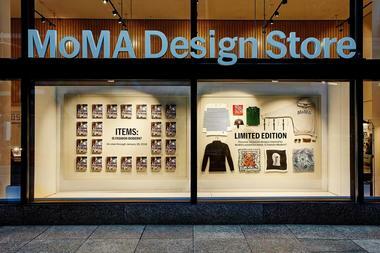 The MoMA Design Store in the SoHo area of New York City is open Monday to Saturday from 10:00am until 8:00pm, as well as on Sundays from 11:00am until 7:00pm. The Museum of Chinese in America was established in 1980 and is dedicated to the preservation and presentation of the diverse experiences, culture, heritage, and history of those living in America of Chinese descent. The museum, also known as MOCA, is a national home for precious narratives of the diverse Chinese American communities throughout the country, striving to be model for interactive museums. The Museum of Chinese in America brings more than 160 years of Chinese American history to life through cultural programs, educational programs, and innovative exhibits, promoting dialogue and understanding among those of all cultural backgrounds. The New York City Fire Museum provides visitors with an opportunity to experience one of the country’s most prominent collections of apparatus, gear, artifacts, and art related to fire, dating back to the late eighteenth century up to present day. The various displays showcase the evolution of firefighting in New York City, starting with the bucket brigades of New Amsterdam up through the history of volunteer firefighters up to present day firefighting equipment and techniques. The New York City Fire Museum is also home to a memorial for the FDNY members who made the ultimate sacrifice on 9/11. New York Walking Tour provides guests tours of the largest city in the United States full of learning, discovery, and fun. 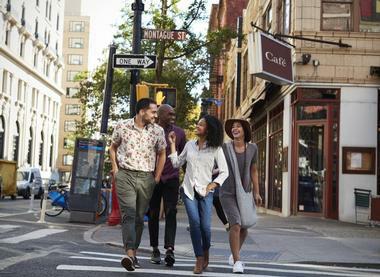 Mark Herdter, a member of New York City’s Guides Association, offers personalized walking tour through just about anywhere in the city, providing visitors with a chance to get to know many of the city’s neighborhoods much better. Half Day Tours include meeting guests at their hotel and exploring and learning about the city, giving visitors an insiders’ look at Manhattan. Historical Neighborhood Tours have a specific meeting location. Tours typically last two to two and a half hours. The TASCHEN Store in New York City’s SoHo neighborhood in Manhattan is open Monday through Saturday from 11:00am until 7:00pm and open on Sundays from noon until 6:00pm. The upscale boutique bookstore features books ranging from more affordable pocket guides to stunning collectible tomes. The shop was founded by Benedikt Taschen, a comic book enthusiast, in Cologne in 1980, and is a perfect coffee table bookshop. The TASCHEN Store New York is a place to discover design and art, both old and new, along with subversive and popular, as well as a collection of photography highlighting the city’s story. 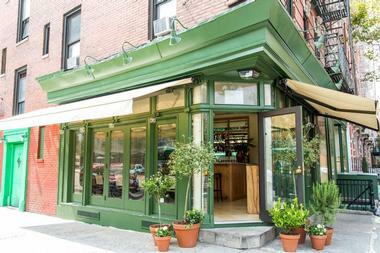 The Dutch is an American joint in the SoHo neighborhood of New York City that serves good food, spirits, and wine. 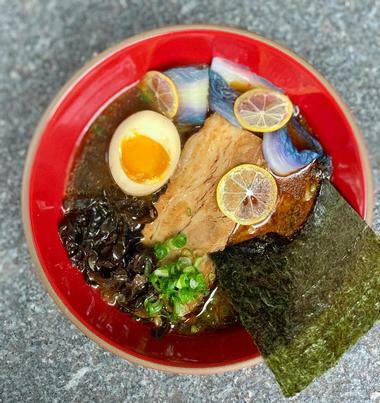 The American fare eatery was founded by Luke Ostrom, Josh Pickard, and Andrew Carmellini, who have collectively clocked more than six decades in the industry. The Dutch is known for cooking things that make people happy, such as a seasonal market salad, homey fried chicken, flavorful chili and curry, tasty sandwiches, steak, fresh pie, and even a shellfish tower. The Dutch also makes their very own hot sauce, uses local ingredients whenever possible, and offers a wide variety of drinks. 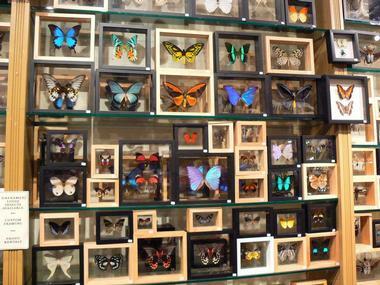 The Evolution Store is a landmark in the SoHo art district of Manhattan and is known as the premiere retail destination in New York City for natural history and science artifacts, home furnishings, gifts, and collectibles. The unique shop provides a museum quality setting that creates an intimate and one-of-a-kind shopping experience for visitors. All items in the Evolution Store have been obtained legally and are able to be legally sold in the state of New York. Items in the store are obtained from anthropologists, entomologists, and paleontologists among others from all over the world. The American Numismatic Society is committed to the study and raising public appreciation of medals, currencies, coins, and additional related objects. Since the organization was established back in the year 1858, the society has acquired a permanent collection consists of more than 800,000 objects that date back from 650 BCE up to modern day. The numismatic library of the American Numismatic Society is home to around 100,000 artifacts, documents, and books. These resources support publications of periodicals and books, various exhibitions, academic seminars, and lectures. The society’s mission is to promote and advance numismatic research and public appreciation. TOMORROWLAND was founded in 1978, pursuing both innovative and traditional textile art, and now has its first boutique in New York at the "476 Broome Street" center in Manhattan’s SoHo neighborhood. The boutique TOMORROWLAND shop is developed around the Men’s and Women’s collection of the company, along with unique items carefully curated from other brands throughout the world. TOMORROWLAND New York is open Monday to Saturday from 11:00am until 7:00pm and on Sundays from noon until 6:00pm. 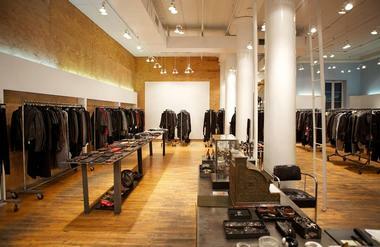 The shop is housed within a historical building and features a combination of original interior and playful materials. What Goes Around Comes Around has been a leading purveyor of luxury vintage apparel and accessories since it first was founded in 1993. The experienced buying team of the shop travels worldwide to hand-select the most desirable and rarest authentic luxury pieces. The retail locations of What Goes Around Comes Around have become go-to destinations for global tastemakers and celebrities. The company’s flagship store in SoHo still remains a staple in the industry, offering collections of luxury items that include Hermès, Louis Vuitton, and Chanel, as well as vintage items from some of the world’s most coveted brands.